Tattooing is now a modern genre of art with hundreds if not thousands of artists across the global practicing it. Nowadays, getting a tattoo is a common phase in life. In fact, even people without them have at least considered getting one at some point in life. In any genre of art whether it is painting or sculpting there is always a select group of artists that attract more attention than others due to the quality or uniqueness of their work. 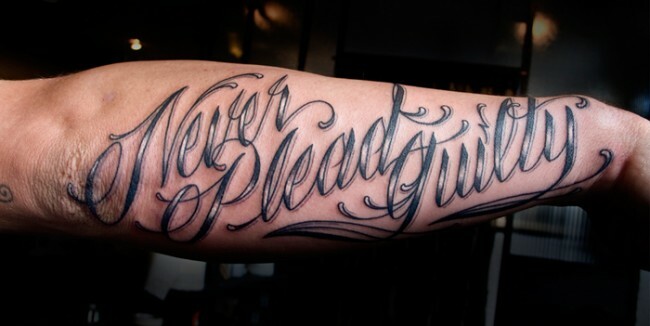 What Makes Him a Great Tattoo Artist? Tattoos are not an exception as there is a class of artists in the USA and also globally who are on a different level from others and Scott Campbell is one of them. 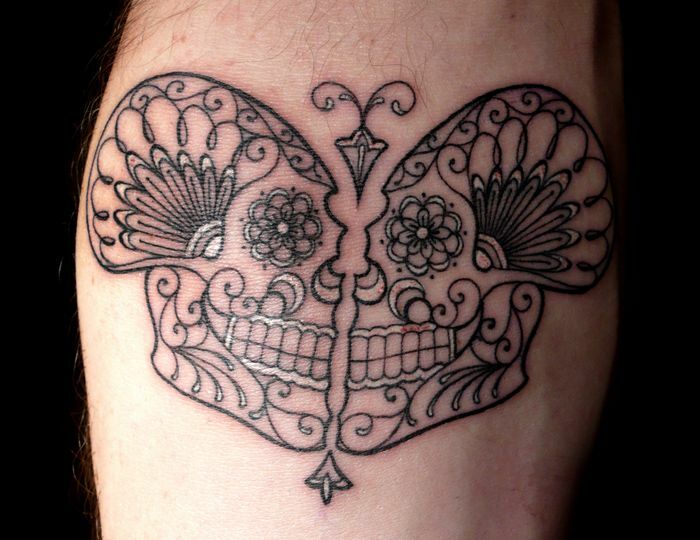 If you are a tattoo enthusiast, or you simply like to keep up with the trends, then the chances are that you have heard of him. He has been in the game for only a decade but he is now one of the most recognizable artists, and he has achieved almost anything that one would ever wish for in this sector. A brief look at his career and some of his work should show why he is so famous. 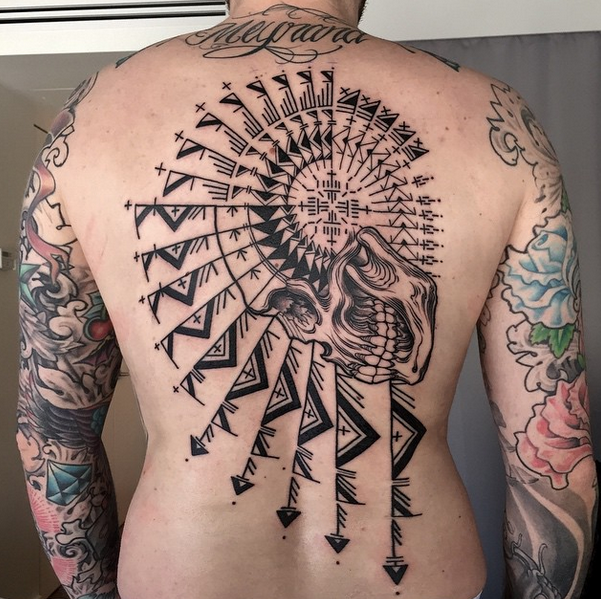 Scott Campbell was born and raised in Louisiana, but he is now known globally for his tattoos and other works of art that he has created in the recent years. He is considered one of the most talented artists of all time and his works have attracted attention from people from all the corner of the globe. Initially, he had enrolled at the University of Texas to pursue a career in biochemistry but after some time, it dawned on him that this was not what he wanted to do. Scott dropped out and moved to San Francisco where he began his career as an artist. Scott is famous for his creativity not only with his tattoos but also other works of art that he exhibits regularly. He can create something fabulous from almost any material whether it is copper or uncut currency bills. He is also a very simple person with philanthropy and giving back to the society being some of the things that drive him. 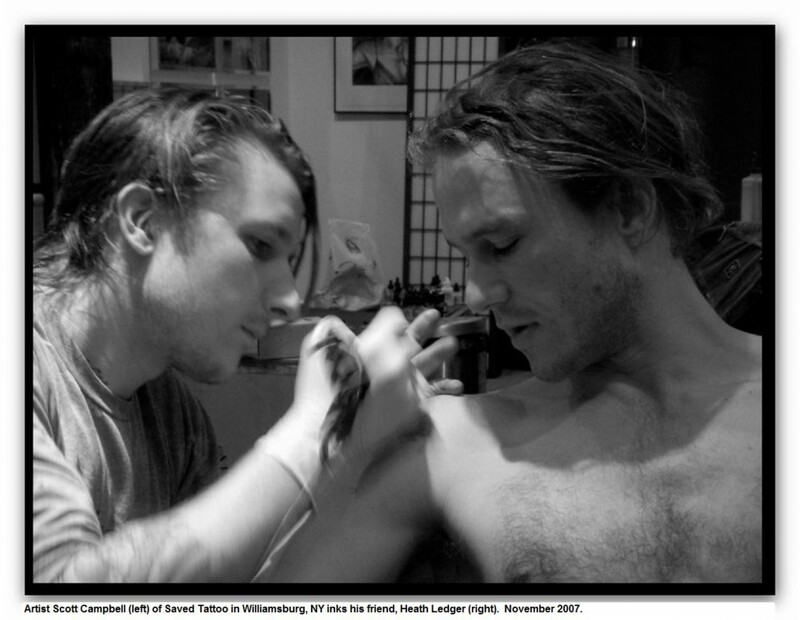 For example, despite charging, at least, a thousand dollars for a tattoo, he occasionally inks strangers for free. No other artist in the same caliber especially those that ink A-list celebrities like him have inked as many people free of charge like him. Perhaps this philanthropy and his love for arts that have seen him traverse the globe are the things that make him one of the most famous artists of this generation. Looking at Scott’s career and everything that he has achieved it is hard to believe that he is barely forty as it feels like he has been in the game for decades. 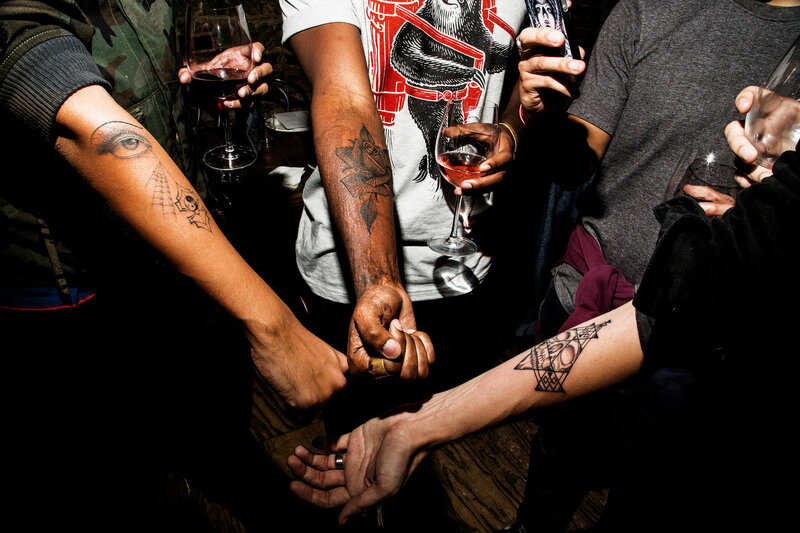 He has traveled around the globe from Europe to Asia and the America inking people for cash and meeting other artists to learn more about their work and to get inspiration. However, just like anybody else, his story starts somewhere and although it is not the rags to riches cliché that most celebrities like to put forward it is still interesting. Initially, Scott wanted to become a biochemist and had even started college but at some point, he realized that it was not the thing for him, and so he dropped out of school and moved to San Francisco to try something new. 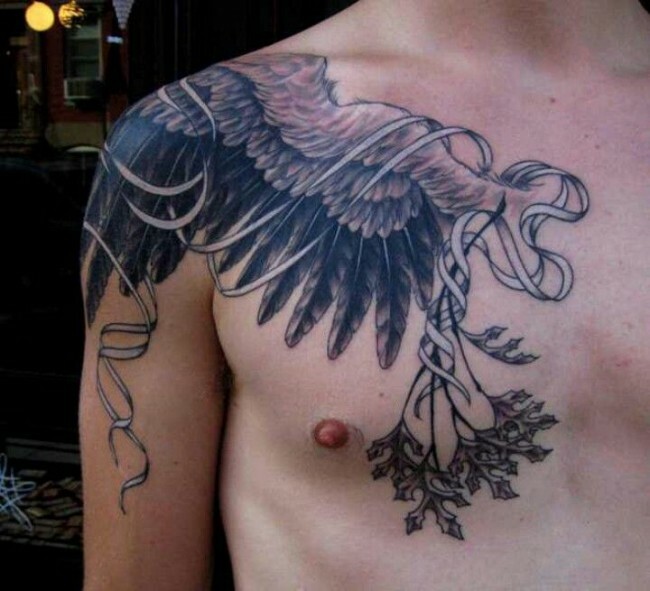 At this time, he was in his 20’s, and he started off by working at as a copy editor in his new town, and it is from there that he discovered he had a passion for tattooing. Scott got his training from the great Picture Machine that also happens to be one of the oldest and also most famous tattoo studios not only in California but the entire US. Learning the craft from the best and in a place with such a rich history is one the key things that have made him the legendary artist he is today. By 2005, Scott had enough skills and experience and so he moved to New York and opened his first shop, the Saved Tattoo, from where he still operates to date. Saved Tattoo is what led to his fame mainly due to the rich tattoo culture in New York, and his first celebrity client was Heath Ledger whom he gave a small bird on the forearm. Apart from his famous tattoos, he also does fine art where he works in other mediums other than the skin. Some of his other works include watercolor paintings and carved sculptures that he exhibits internationally and locally. 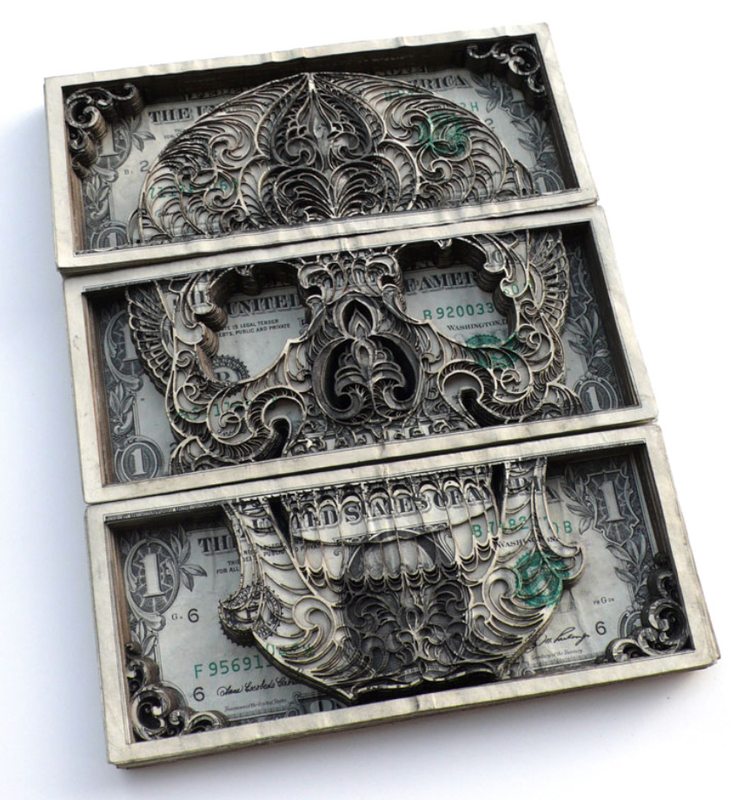 What makes his works very famous is his choice of raw materials as he uses things such as uncut sheets of US currency, copper, graphite and many others. Scott has also helped to add an artistic touch to fancy leather bags for men working with reputable names such as Louis Vuitton. 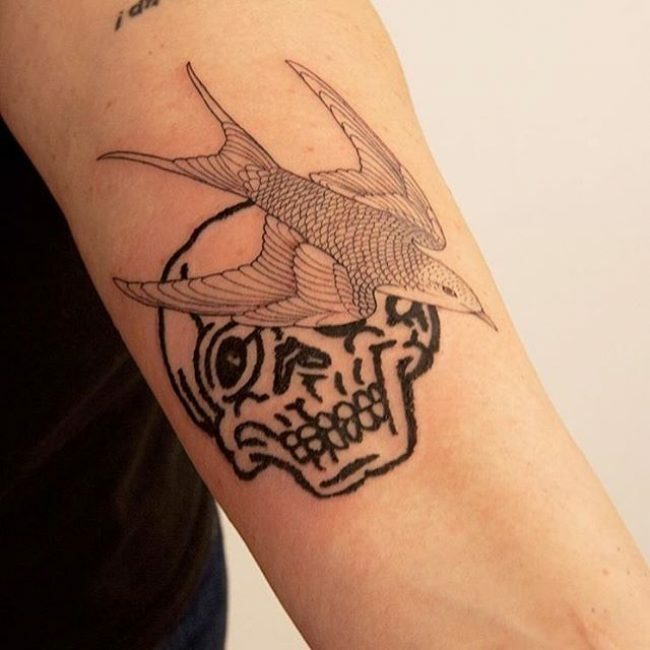 Scott Campbell represents a new age of tattoo artists that do not restrict themselves to the traditional parameters that define tattoo types. It is hard to classify his work in a particular school, but his style is more of contemporary than old school. He likes to use a lot of colors and bold lines in his work, but their main characteristic is how he plays around with familiar images such as the skull and roses to create a unique look. 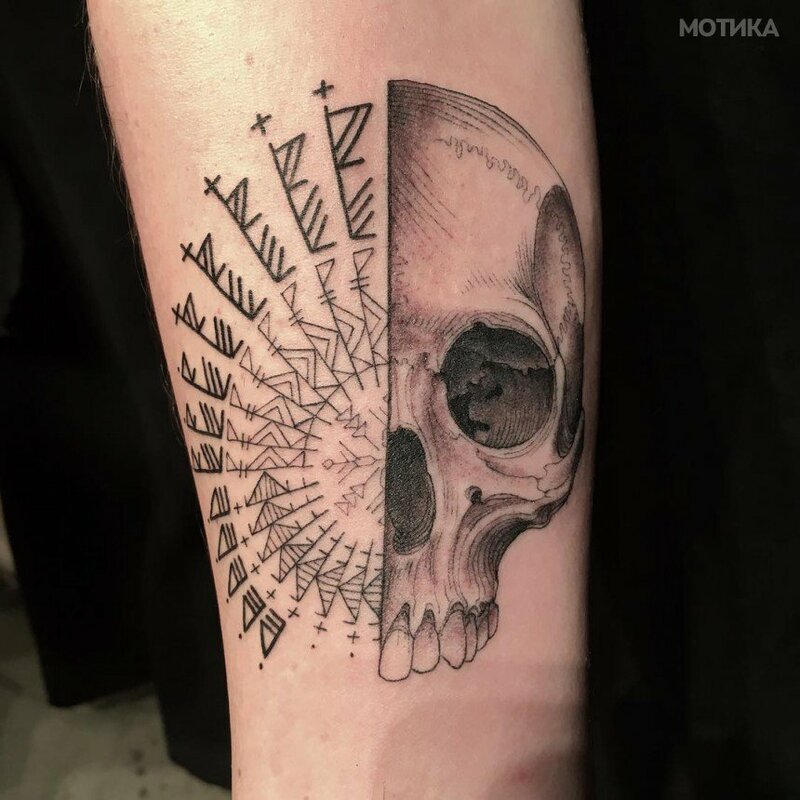 There is always a twist to his work whether it is a rose or a simple skull and this is one of the reasons why many celebrities prefer his work. Another distinct element in his work is their uniqueness in theme. Most of Scott’s works are too detailed to replicate even a master like him will have trouble doing it. And since most of his work come from inspiration and experiences he is always coming up with new designs. In most cases he will use inspiration when inking rather than trying to conform to particular styles or designs. 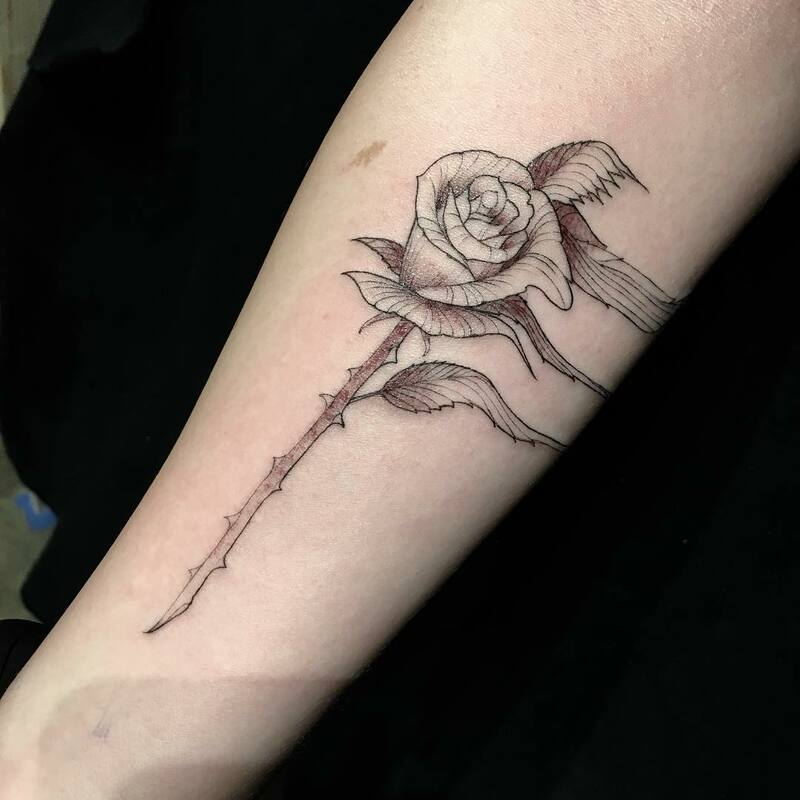 However, since he is a master he can draw anything that you like whether it is new or old school as he has all the experience and skills required to create perfect body marking. Over the last decade, Scott has traveled around the world tattooing people, and he has also served hundreds of others in his Saved Tattoos studio. Since each customer has specific needs, it is impossible to classify his work into particular types. However, the following are a few examples of some of his best work. 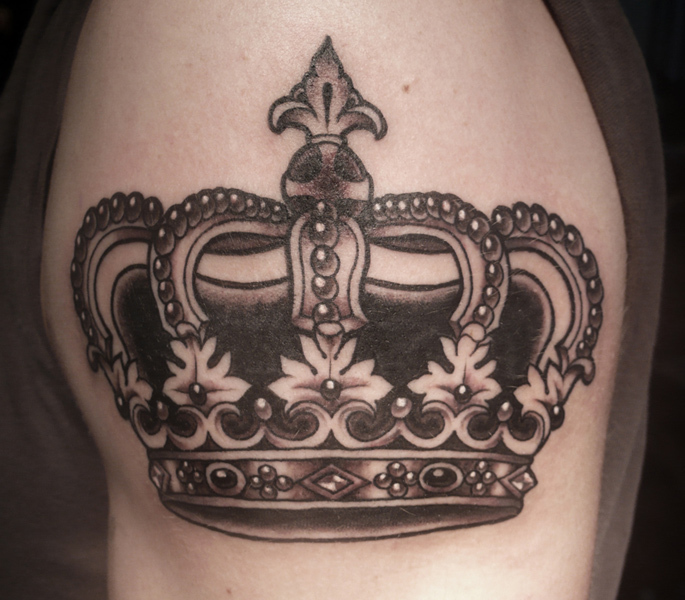 A crown tattoo is a typical old school totem, but Scott gives it a modern touch and more detail. His crown design is black and white but what makes it special is how he captures the details accurately and realistically. In this body marking, you can even see the shine that is characteristic of a crown and the royal patterns. The abilities and talent of Scott Campbell can only be matched by a few other artists if at all any. 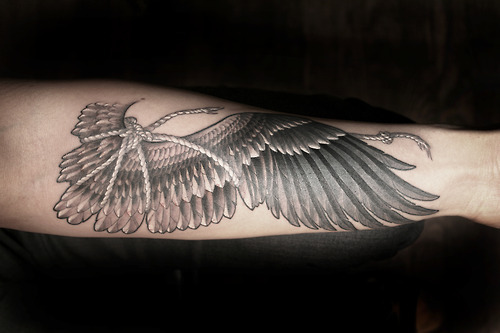 And this can be demonstrated by his ability to convert even the simplest images into a masterpiece like in his famous feathers tattoo. 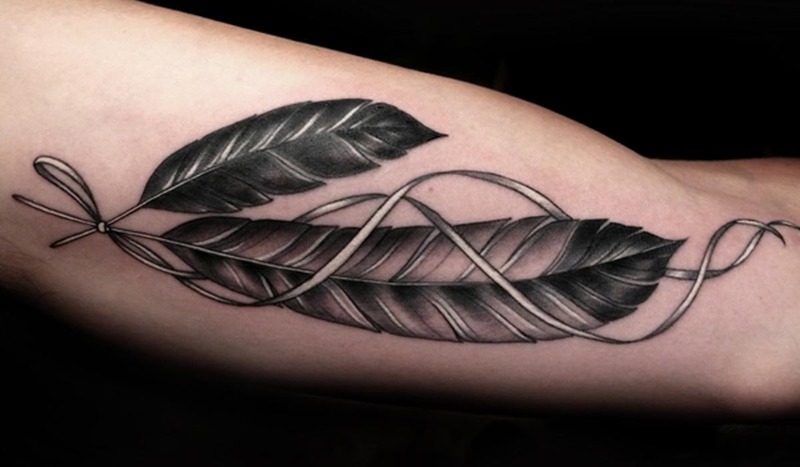 In this totem, there are only two feathers, but they look very intricate with bold outlines and perfect contour that create a realistic feather feel. 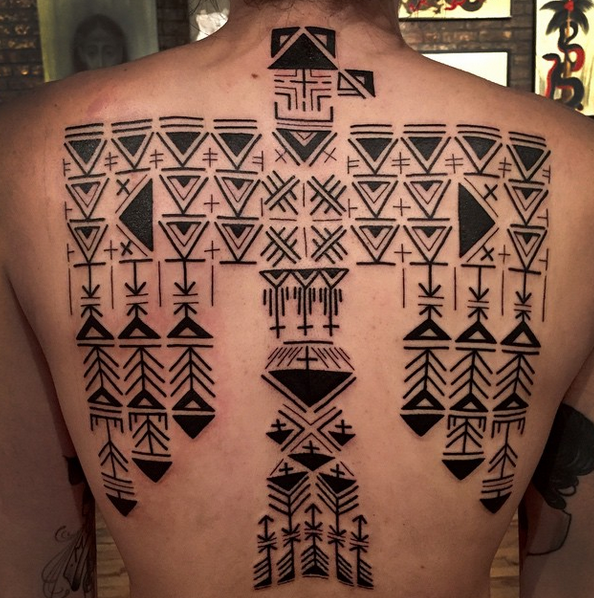 This is one of his most complicated designs, and few other artists apart from him can be able to replicate it. The feathers are in a wing-like design, and most people who get this totem prefer to have it as a shoulder piece as it is more symbolic when placed here than in other areas. With Scott Campbell tattoos creativity has no boundaries and you can see this from some of his works like the “Eye with a Sword”. 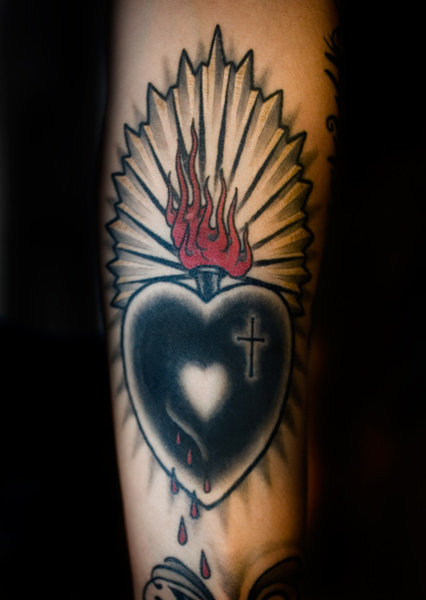 This design is very sophisticated, and it consists of a heart with a sword piercing an eye to create a unique image. It is also very symbolic despite all the sophistication. 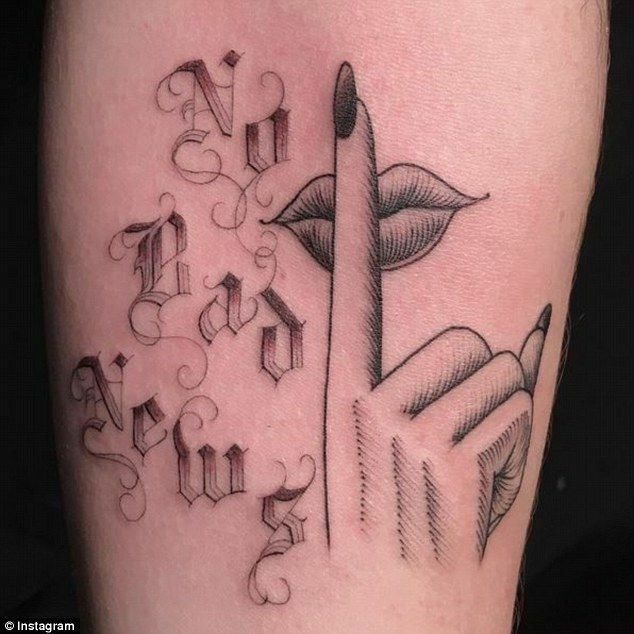 With lettering tattoos, it’s not just about getting some words with hidden or particular meaning but also having them in a fresh design. Scott can create different fonts and calligraphies to make your words look fabulous. 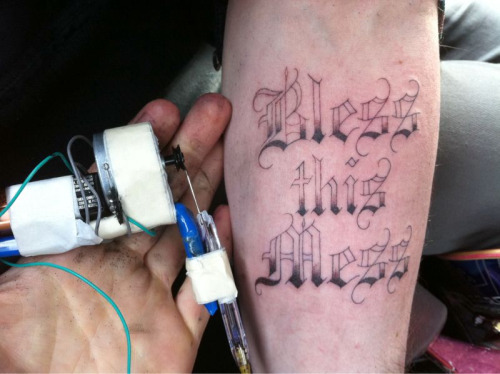 His most famous words design is the “Bless this Mess”. The words are unique, and the calligraphy used to ink them is impeccable, and you can tell that it is the work of a master. Scott’s artistic skull has an Indian feather hat, and it looks just like any other skull image but what makes it special is the attention to detail in the drawing. The artist takes a lot of time to get the precise shapes and lines that make this totem what it is, and the shading is also excellent. The fish, seaweeds and the colors in this tattoo are perfect, and they help give your body marking an interesting theme. Although all the elements of this design are familiar things that are easy to draw it is not easy to make them look realistic like in this style and so it will take an experienced pro. Flowers make great designs, but a rose flower is probably the best of them all. You can have it as part of other designs or as your primary symbol, but if you get it from Scott, you can be sure of an outstanding centerpiece. He likes listening to Neil Young when driving. Although he does not have any phobia, Campbell admits that he does not like height and will avoid them when he can. The outstanding qualities of his personality that make him most happy are the fact that he is very hard working and ambitious. 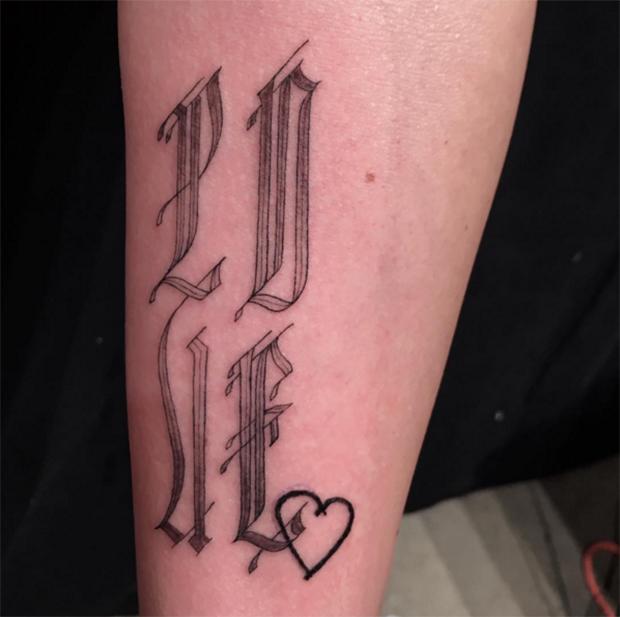 The best tattoo that Scott has ever seen is the word “MOM”, wrapped over a beautiful heart design. Initially, he had enrolled at the University of Texas where he was training to be a biochemist, but he quit to focus more on inking people. According to Scott the greatest town in the USA is New York City and not Louisiana where he was born. He also associates more with Brooklyn than any other neighborhood. If he were to choose one person (dead or alive) as a roommate, he would choose Antoni Gaudi. His most relaxing activity is running, and he can run almost every day when he has the time or when he is not traveling. Although he is currently one of the most famous artists in the world, in high school he kept a low profile. Scott was the kind of guy that you would never notice. His latest venture involves making and selling wine and his brand also goes by the name Saved just like his famous studio. Scott did not just become a master overnight as it has taken him many years to establish himself and create a brand. This industry is very competitive, and so it is not easy to become famous and get the opportunity to ink A-list celebrities such as Kanye West and Penelope Cruz. However, Scott Campbell has established himself as one of the greatest of all times, and this is due to the following reasons. He is very hard working and ambitious which are the two primary traits for success as an artist or in any other business venture. Campbell started off from the bottom and worked his way to the top by pushing himself. Although he trained at one of the best tattoo studios in California, he is also very talented and has a passion for the arts. The desire to create new works of art has made him the famous artists he is today. In his early years as an artist, he traveled a lot to ink people on different continents, and this had a significant impact on his career due to the inspiration from various cultures and learning a lot from other artists. Scott Campbell is very creative, and he is always trying to come up with new designs that will please his customers. Unlike other artists, he is not just in it for the money because he loves arts and the fact that he also does in fine arts proves this.